Some grocery stores are displaying an epic tower of cookies, bookended by lifesize versions of Frankenstein’s Monster and his Bride, making for the most epic store display of 2013. The character selection and artwork is a real throwback to the 1990s when the official Universal Monsters used to adorn such mammoth retail displays. And while these Nabisco Monsters are not licensed, they might as well be, as they bear a stronger (cartoon) resemblance to the movie characters than anything Universal is currently sanctioning. So, if you are fortunate enough to stumble upon one of these boo-utifil displays, please share a picture with us in the comments. But now onto the product they house within their fortress of fright… Nabisco Cookies: Classic Mix — treat sized bags of your favorite commercial-brand cookie products. And look at the great boxes! The Dracula is fang-tastic, and the Witch is wickedly wonderful. Too bad that they could not have squeezed in the Monster and the Bride from the store display, but you can’t get everything, I suppose. The Dracula, however, makes up for the loss, probably being the best non-likeness retail rendition of the character in over a decade. These cookie boxes are widely available at Walmart and Kroger stores, but not every place displays them in the beautiful Monster Fortress. Ah well, at least they have cookies. 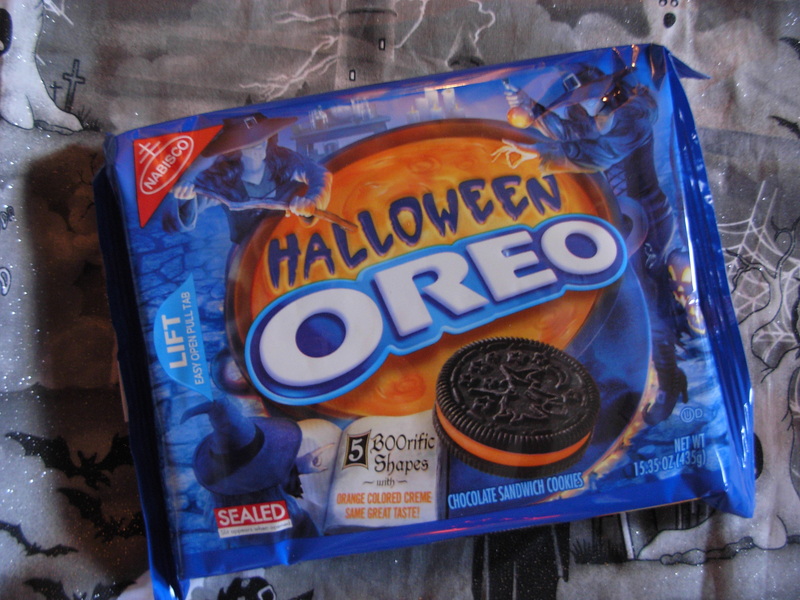 Nabisco is also offering up another type of Halloween treat with another great package, this in the form of the Halloween Oreo. Yes, Halloween Oreos have been around for years (a testament to their bewitching lure), but it’s always good to fall back on an old favorite in these ever uncertain times. 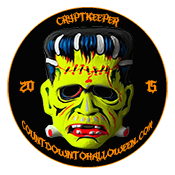 See you in two days with more Halloween fun! Hi There – do you know if Telco still exists and where they are located? Thanks – do you know who owned the company? Arthur Wachtel was the Executive Vice President, per an interview with Raymond Castile in Action Figure News & Toy Review.